EMMERDALE EPISODES: As the village faces the fall out of Kim Tate’s return, Debbie Dingle worries for daughter Sarah, Victoria engages a detective to search for Adam, Paddy and Chas plan Grace’s funeral, April hides a secret from Marlon, Jacob gets into trouble, and things with Bernice and Dr Cavanagh heat up! Mon 15 Oct 2018: Sarah Sugden panics when the transplant coordinator tells her that they have found her a new heart. 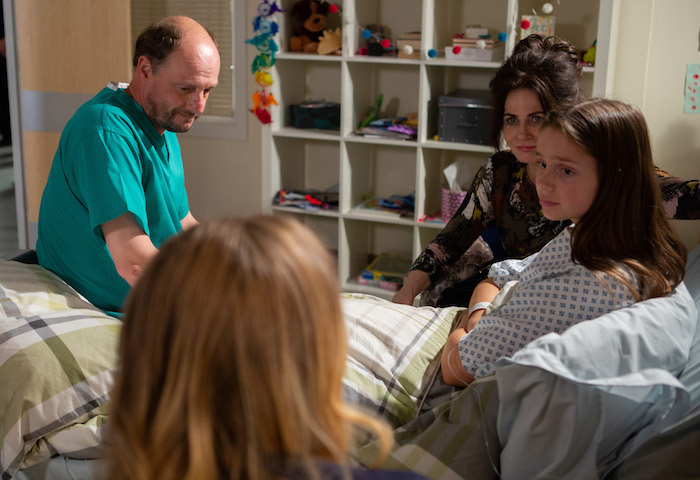 Mon 15 Oct 2018: Debbie Dingle arrives and comforts Sarah. As she is wheeled out for the operation, Debbie breaks down, fearing she will never see her daughter again. 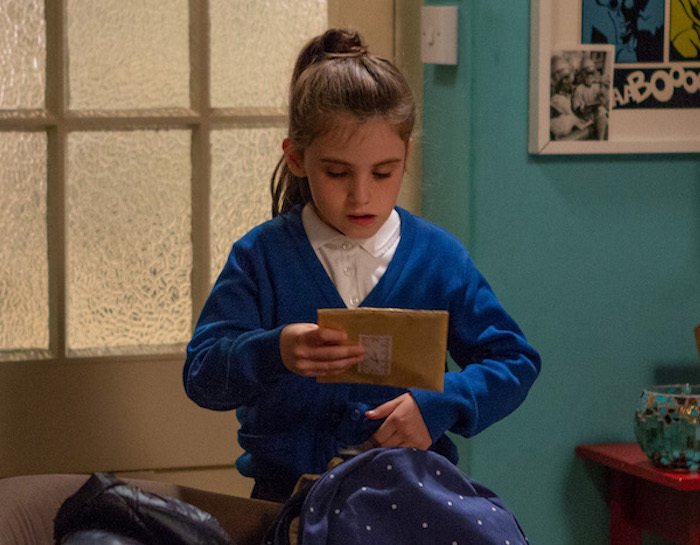 Mon 15 Oct 2018: In her search for Adam, Victoria Barton breaks into the haulage office and starts rifling through the drawers. 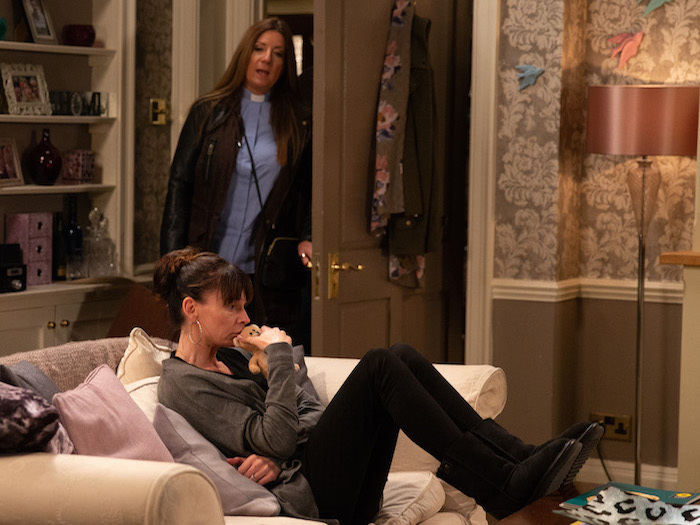 Tues 16 Oct 2018: Chas Dingle struggles when Harriet Finch arrives to talk about Grace’s funeral. Tues 16 Oct 2018: Chas Dingle, Paddy Kirk and Harriet Finch set a date for the funeral. Tues 16 Oct 2018: There’s a sense Paddy Kirk is not being honest about his feelings. Wed 17 Oct 2018: April Windsor gets excited about going to a school friend’s party. 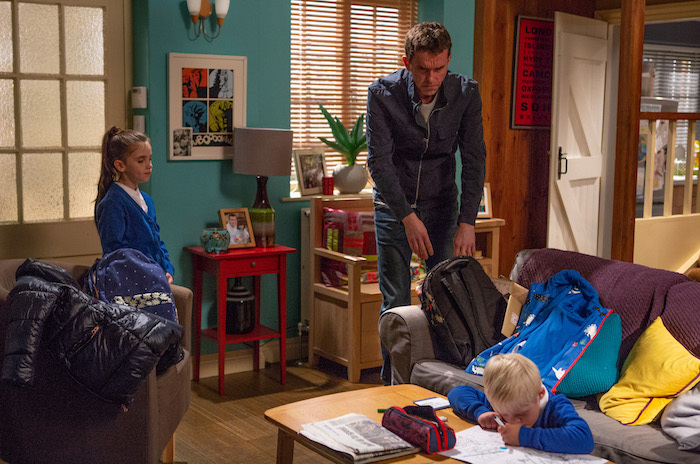 Wed 17 Oct 2018: Marlon Dingle is excited for April but what is she hiding? Wed 17 Oct 2018: Why doesn’t April Windsor want Leo to go to the party? Wed 17 Oct 2018: An argument brews between Noah Dingle and Jacob Gallagher. Wed 17 Oct 2018: Things turn messy when Jacob Gallagher pushes Noah Tate at the bus stop. 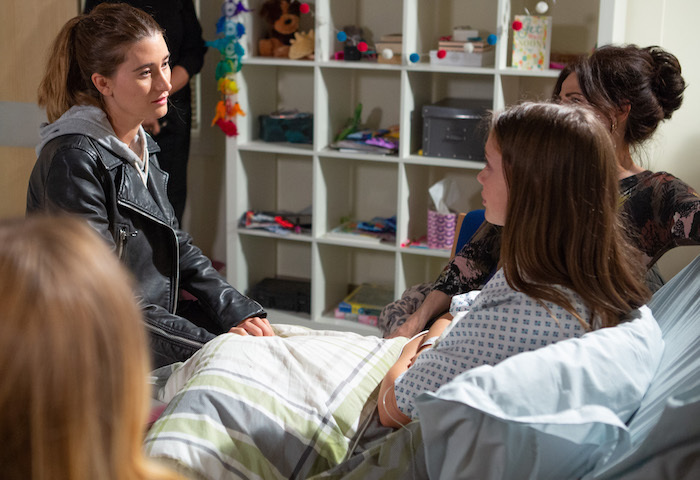 Wed 17 Oct 2018: Leanna Cavanagh tells Jessie Grant that Jacob Gallagher attacked Noah Dingle over Maya. Wed 17 Oct 2018: Victoria Barton is unfazed when Glen the detective advises her that tracking down Adam will be expensive. Thurs 18 Oct 2018 – 7pm: Dr Cavanagh tells Bernice Blackstock that he wants to be with her and hates all the secrecy. Thurs 18 Oct 2018 – 7pm: Will Dr Cavanagh and Bernice Blackstock start an affair or will she dump Daz Spencer? Thurs 18 Oct 2018 – 7pm: Glen tells Victoria Barton he has located Adam in Portugal and asks for £5,000. 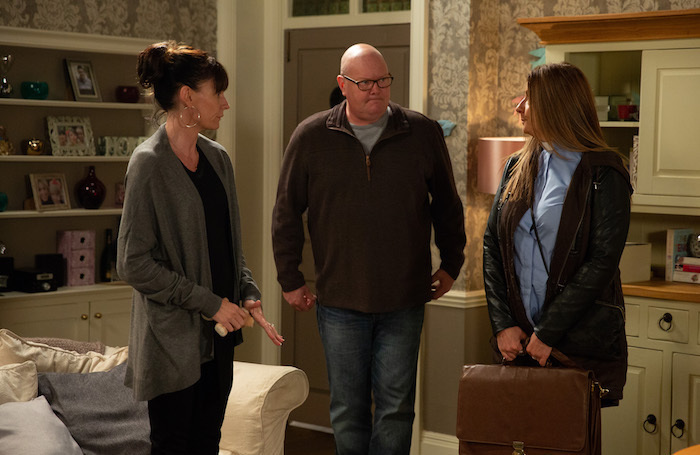 Thurs 18 Oct 2018 – 7pm: Matty Barton is concerned and comes clean to Moira about knowing for a fact Adam isn’t in Portugal. Thurs 18 Oct 2018 – 7pm: Matty Barton takes Victoria’s envelope of cash, but is Victoria now in danger? Thurs 18 Oct 2018 – 7pm: Victoria Barton panics during her meet up with Glen as she frantically searches her bag for the cash and Glen quickly loses his patience. Thurs 18 Oct 2018 – 8pm: Bernice Blackstock accidentally gets her foot grazed by a dart and Dr Cavanagh tends to her. Thurs 18 Oct 2018 – 8pm: Bernice Blackstock and Dr Cavanagh can’t resist their attraction and kiss. Thurs 18 Oct 2018 – 8pm: When Daz Spencer approaches, will Bernice Blackstock and Dr Cavanagh’s secret be found out? Thurs 18 Oct 2018 – 8pm: Can Bernice Blackstock and Dr Cavanagh keep their secret? Thurs 18 Oct 2018 – 8pm: Maya Cavanagh thanks Jacob Gallagher for defending her against Leanna. 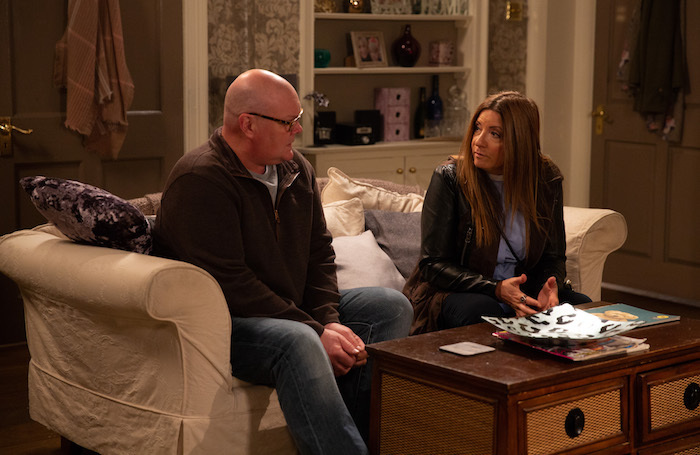 Thurs 18 Oct 2018 – 8pm: As Maya snuggles up to David Metcalfe on the sofa, Jacob starts to realise he has feelings for her.